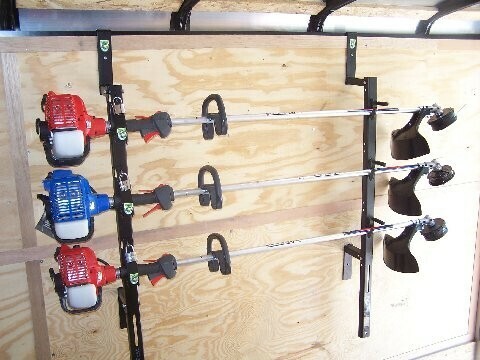 Carry up to 3 trimmers simply and securely with this trailer rack. Pre-drilled posts attach easily to the wall of your enclosed trailer with the included hangers. Padlocks are keyed alike. Lowest Prices for the best trailer cargo organizers from Packem. 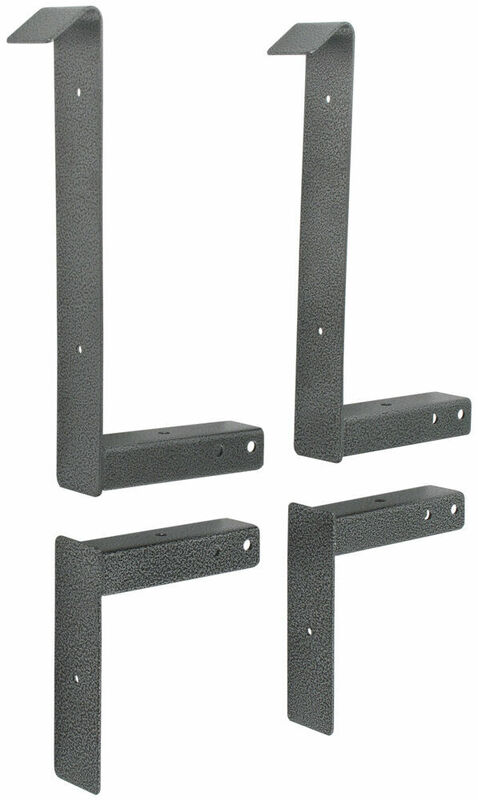 Pack'em Trimmer Rack for Enclosed Trailers part number PK-6-5 can be ordered online at etrailer.com or call 800-298-8924 for expert service. 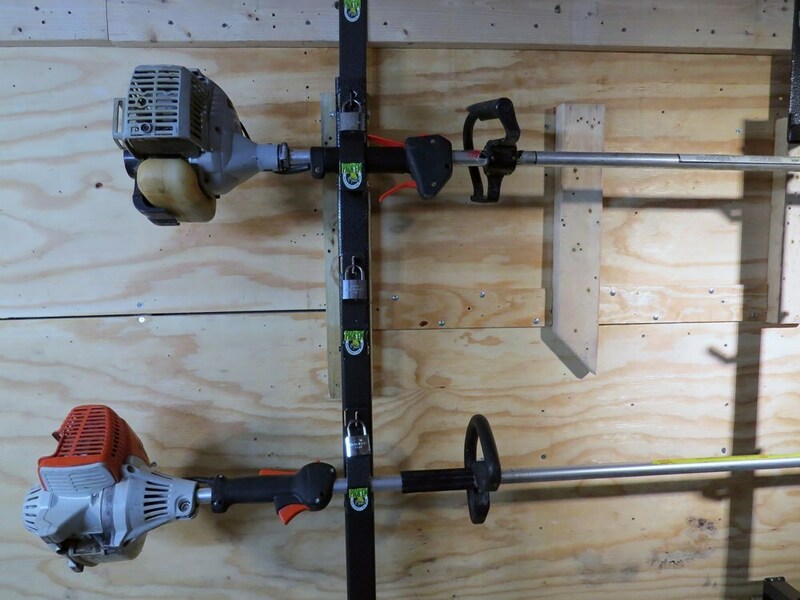 Carry up to 3 trimmers simply and securely with this trailer rack. 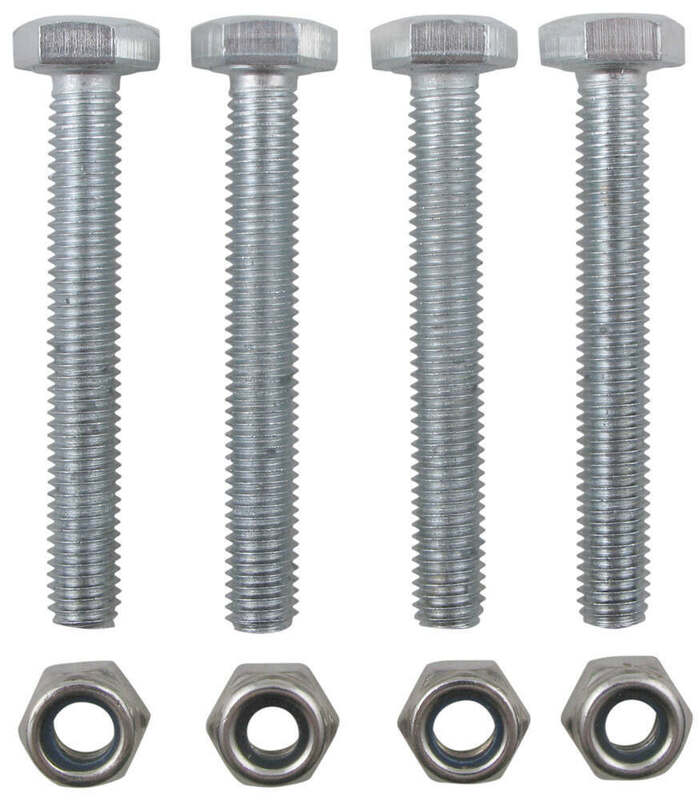 Pre-drilled posts attach easily to the wall of your enclosed trailer with the included hangers. Padlocks are keyed alike. 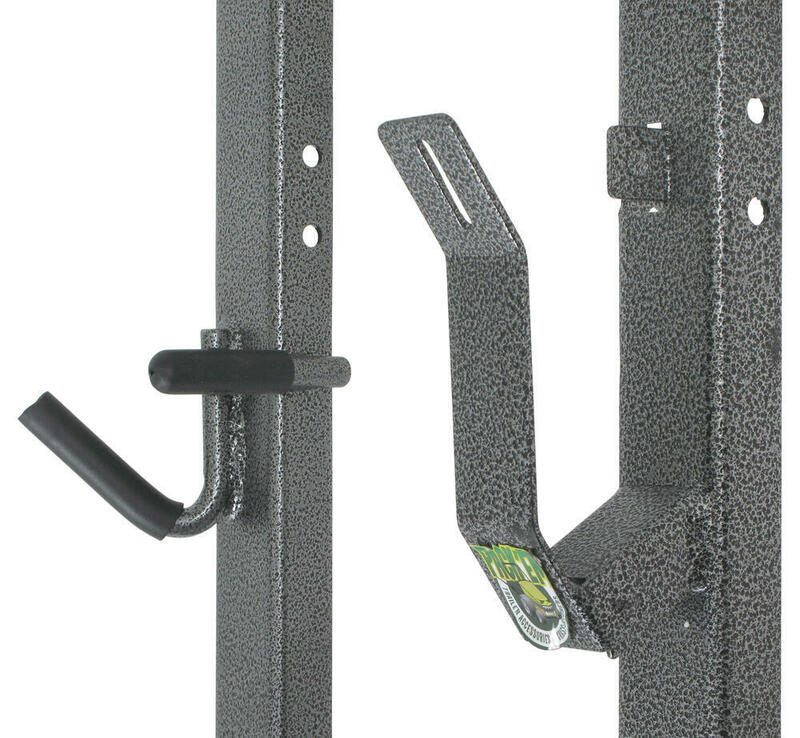 This sturdy, steel rack mounts securely to the wall of your enclosed trailer. Just line the towers up, approximately 3 feet apart, to determine where on your trailer you will need to drill. Suspend the towers with the included hangers and then screw them to the wall. The towers are pre-drilled to simplify installation. 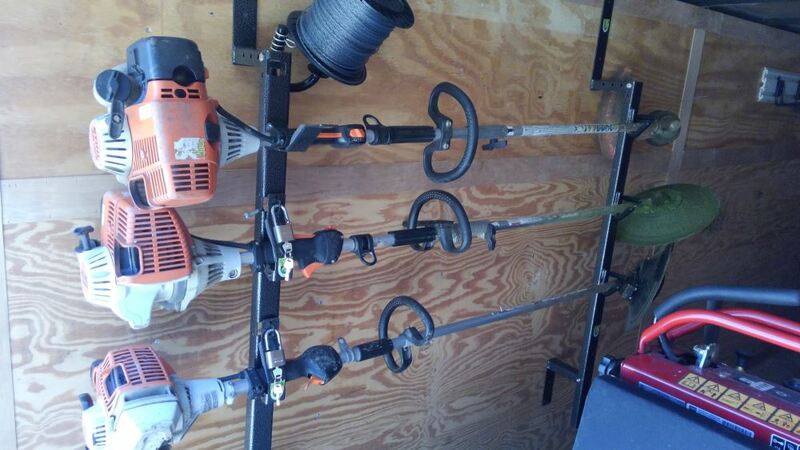 To use the rack, simply place your trimmers or Weedeaters horizontally in the hooks. The hooks of one of the towers have integrated steel hasps. 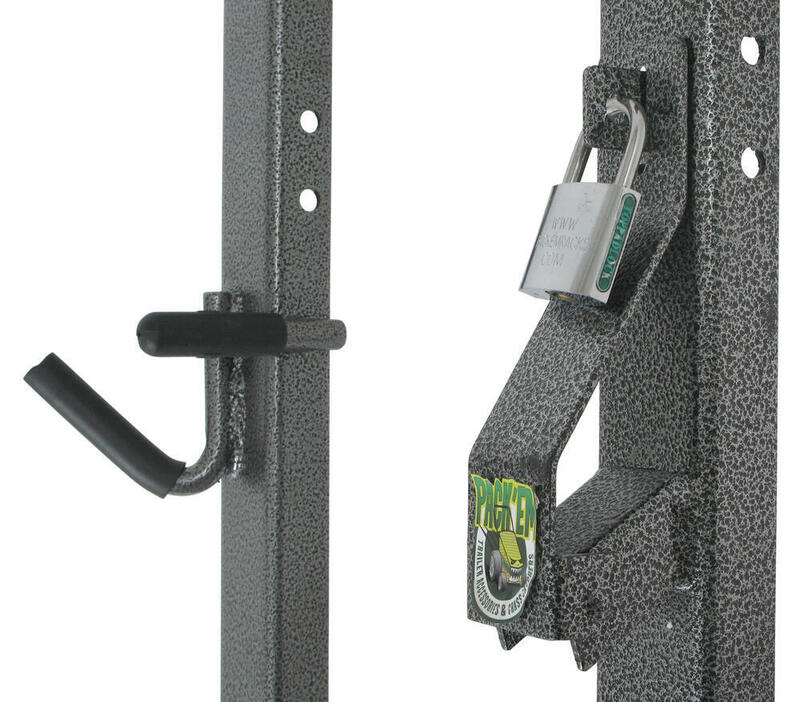 To secure your trimmers to the rack, just fold the hasps over each trimmer and lock in place with the included padlocks. 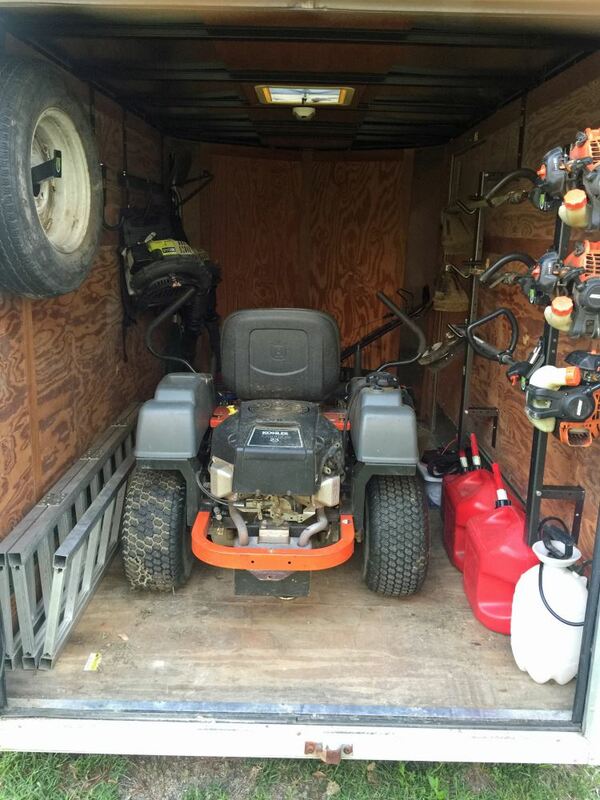 Trimmer rack securely transports 2 trimmers or weed wackers in your open utility trailer. 2 Lockable hasps (padlocks sold separately) secure each trimmer individually so that you can remove 1 trimmer at a time. Rack can be easiliy removed from mount. This ladder rack allows you to carry 2 ladders or other similarly shaped gear on the exterior side wall of your enclosed trailer. Keeps ladders within easy reach. Includes 4 brackets, 2 towers, 8 bungee cords, and mounting hardware. Speaker:	Today on our enclosed trailer we're going to be doing a review and install of the Rack'em Trailer Cargo Control Trimmer Rack, part number PK-6-5. 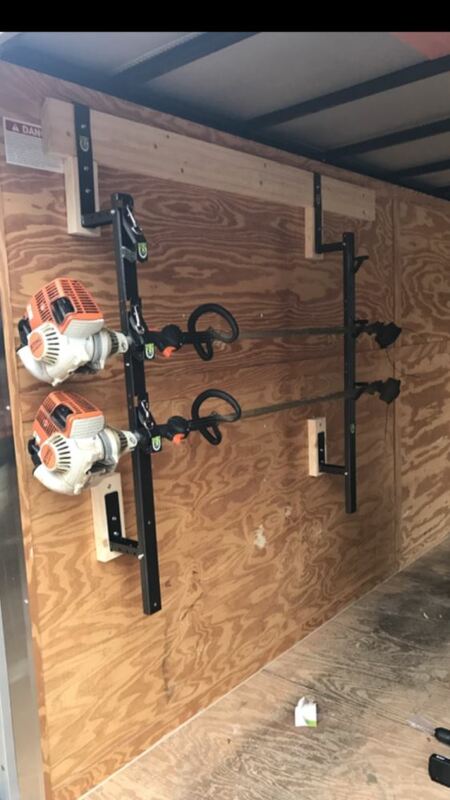 The rack will mount to the wall of the enclosed trailer where the trimmers can be safely hung and organized off the ground. 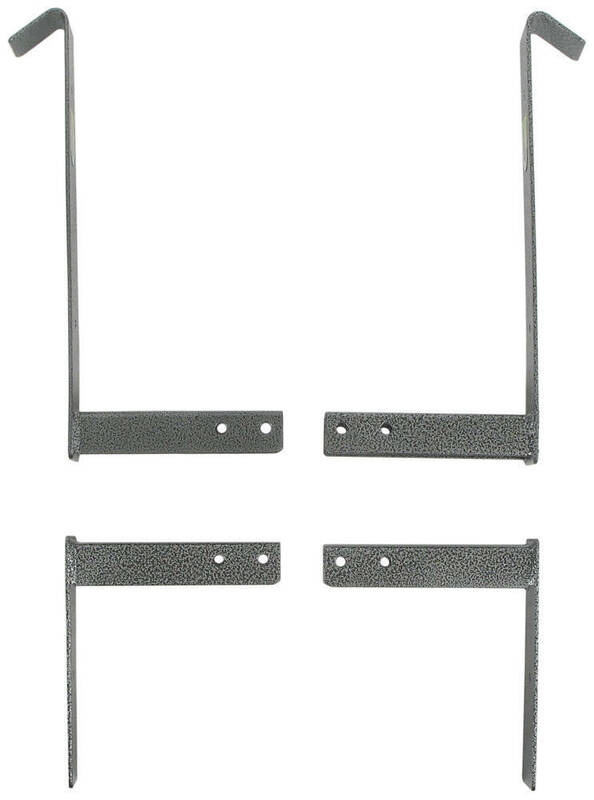 It's made of a sturdy steel construction with pre-drilled holes for installing and securing, as well as a finish-gray powder coat to prevent rust and corrosion. We easily the secured the four Keyda light 00:00:35 padlocks provided with the kit. Now to begin our install, we're going to start from the top and work our way down with our top hook. The top hook is designed with the bend in it to hook around the top of the wall of our enclosed trailer. Now for this particular application, it's at a 2'6 with a back-cut edge already prefixed to the wall, so we've attached some 2 by 4s just to shim it out so that it's flush going down our rack. 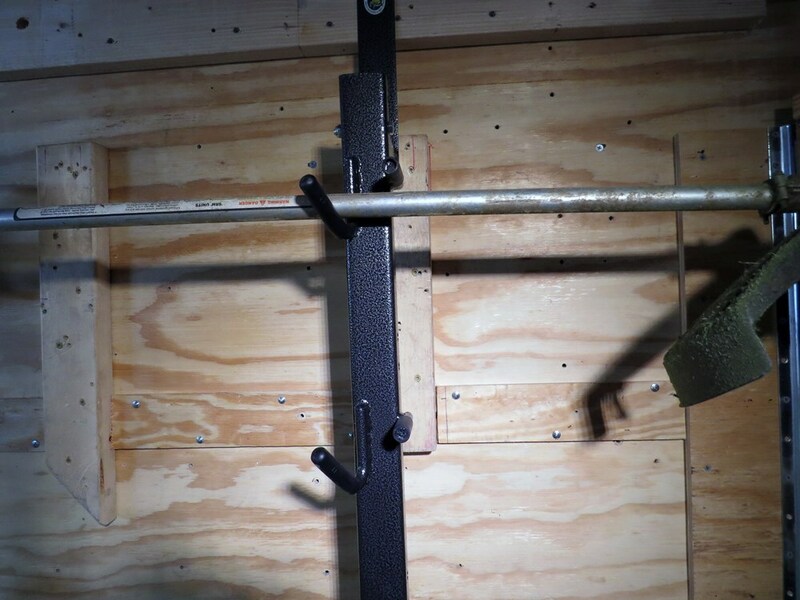 Once we get our top hook in place, we're going to go ahead and install the rack locking upright. With the pre-drilled holes in the upright and the pre-drilled holes in our top hook, we can use the hardware provided to secure the two together. 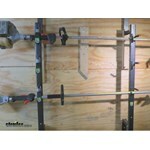 Then we'll have an L-shaped bracket that will go to the bottom, one side being bolted to the wall. The other side will get bolted to our rack. See here in the upper bracket it's going two pre-drilled holes. We're going to go ahead and use the upper one. With our top and bottom mount secured, we'll go ahead and tighten down our bolts that holds the upright. With that done, we'll go ahead and complete the same process with our second set of racks, only this will be the upright that has the hook side for our trimmer. Now to instlal the trimmer, we'll simply take it, lean it up on one side, leaning on our second side down, and then we can install our lock. There you have it for our install and operation of the Rack'em Trailer Cargo Control Trimmer Rack part number PK-6-5 on our enclosed trailer. .
Order: RelevanceNewestRating - High to LowRating - Low to High Carry up to 3 trimmers simply and securely with this trailer rack. 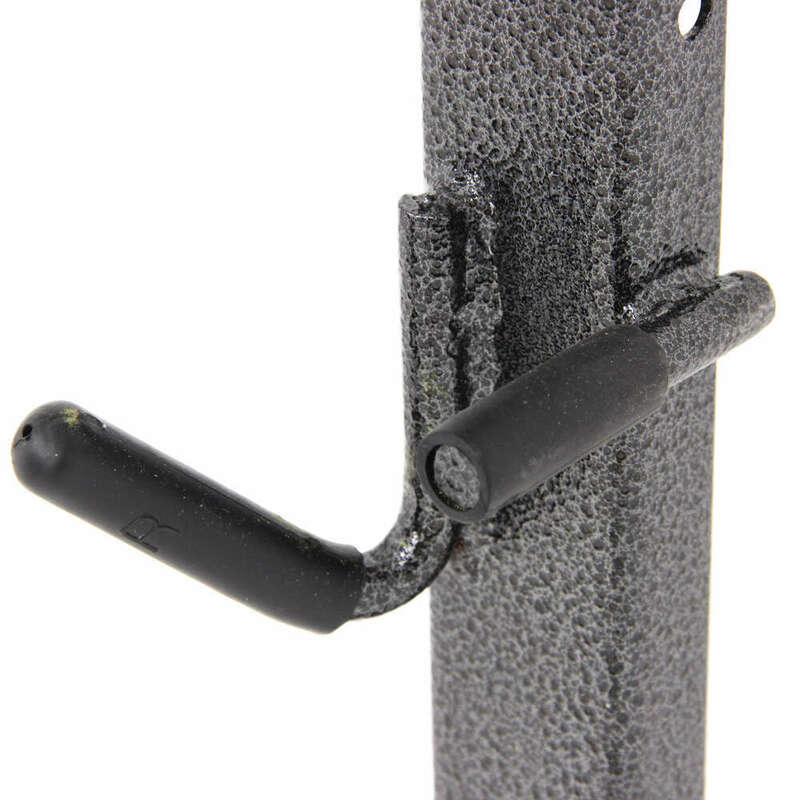 Pre-drilled posts attach easily to the wall of your enclosed trailer with the included hangers. 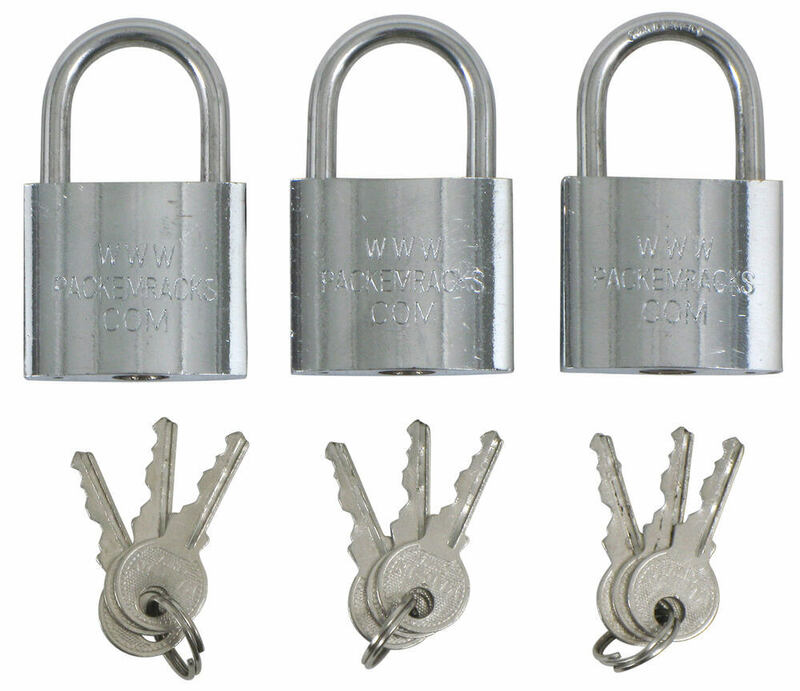 Padlocks are keyed alike. Fred, thank you for your review. I see in your photo that the top latch is not latched and locked with the lock. If you push that latch up and lock it with the third lock it should create more room for the middle trimmer. A year later and the rack is still holding strong. Perfect. Works great, easy to install, still working great a year later. 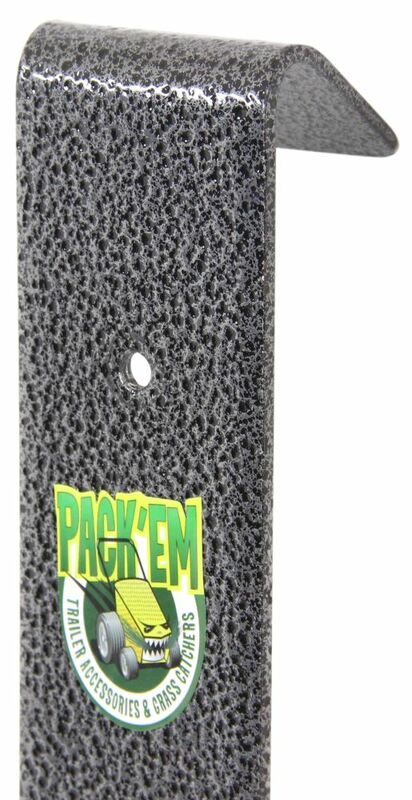 For products like the Rackem Trimmer Rack for Enclosed Cargo Trailers # RA-5 and the Pack'Em Trimmer Rack for Enclosed Trailers # PK-6-5 when the page states quantity 1, that does mean one set of rails to make the one rack. It all depends on how much room you have on the inside of your 5x10 trailer. The rail piece of the Pack'Em Trimmer Rack # PK-6-5 measures 46" while the upper mount is 11-3/4" tall from the hook to the piece that meets the rail. The bottom mount sits in line with the rail so at the least you need 57-3/4" (4' 9-3/4") of height in your trailer. 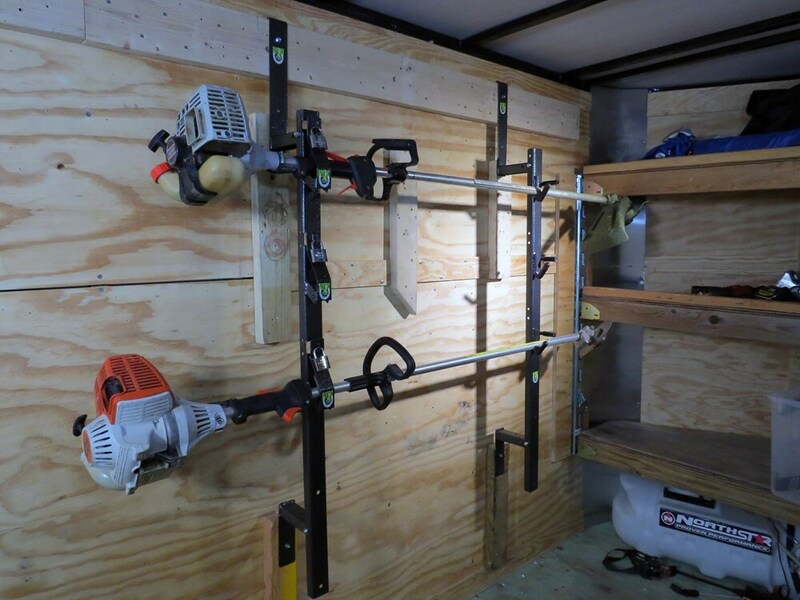 The kit to convert a Pack'em trimmer rack for utility trailers to one used for enclosed trailers you will need the conversion kit # PK-5KIT.